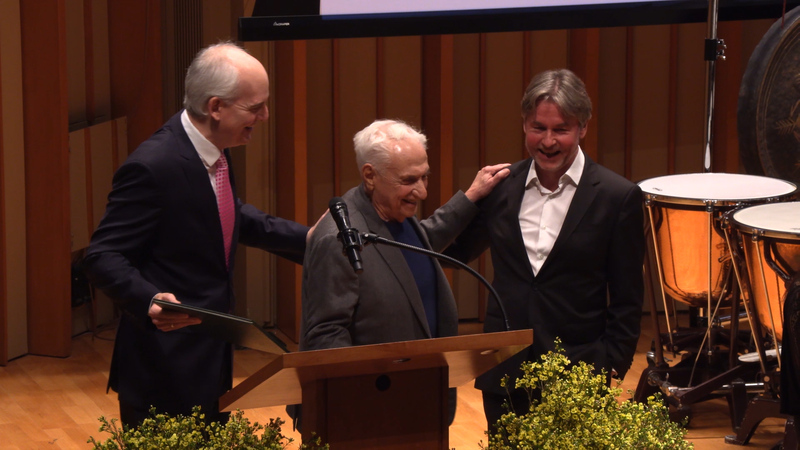 On Saturday, Colburn celebrated the 90th birthday of Frank Gehry, gathering his friends, colleagues, civic leaders, and the Colburn community to honor his immeasurable impact on the worlds of architecture, music, art, and design. 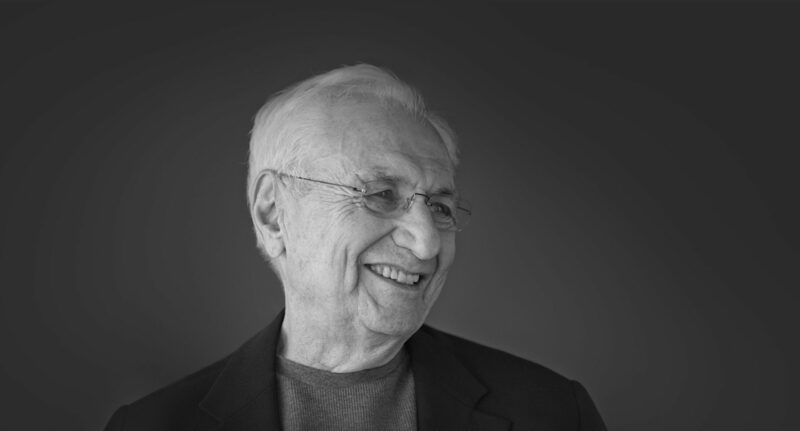 Recognized worldwide, Frank Gehry has created some of the most iconic buildings in modern architecture. Over his long career, he has made immeasurable contributions to architecture, music, art, society, and the civic life of Los Angeles. On February 2, Colburn gathered friends, colleagues, civic leaders, and the Colburn community to celebrate his 90th birthday. Esa-Pekka Salonen, director of the School’s new conducting program, led Colburn students in the world premiere of Fog, written in honor of Gehry’s birthday and inspired by the Prelude from Bach Partita No. 3, the first piece of music heard in Walt Disney Concert Hall while it was still under construction. Los Angeles Mayor Eric Garcetti sent a video greeting, and architect and critic Joseph Giovannini reflected on Gehry’s legacy and what the future holds in the program book essay Architecture’s Wilder Shores: A Tribute to Frank Gehry. Colburn Board Chair Andrew Millstein and Colburn President Sel Kardan recognized Gehry’s special place in the civic life of Los Angeles and looked to his impact yet to come, as Colburn collaborates with him on a new Center for Performance and Learning that will offer multiple new venues for Colburn students and arts partners around the city, contributing to the vibrant cultural and civic life of downtown LA.